Everyone wants to enjoy in the beautiful nature, but it can become an big issue if the nature tries to come indoors. 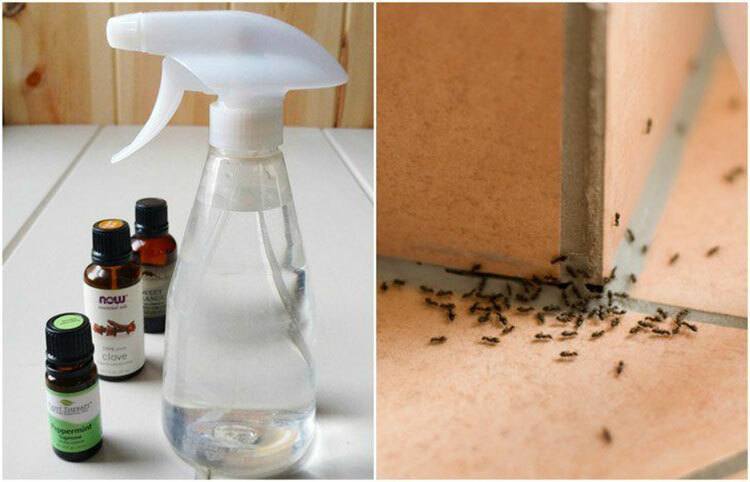 If you do not want ant’ invasion in your home, then opt for this homemade ant repellent spray. The blend of essential oils and vinegar help repel and even kill unwanted ants. Ants operate by sending out scouts who then leave pheromone scent trails for the rest of the colony. Certain essential oils help to disrupt this scent trail and confuse the ants. There are also certain pesticides that will dissolve the ants’ exoskeleton, killing them on contact. You don’t have to resort to toxic pesticides though, as certain components of essential oils will do the same thing. Peppermint isn’t just great for your hair health and morning mouthwash. This strong, minty oil disrupts the ants scent trail to confuse them. Clove is another powerful ant repellent essential oil. Clove contains eugenol, which kills ants on contact, and also deters them. d-Limonene is a compound found in citrus oils like orange and lemon, that is also toxic to ants.